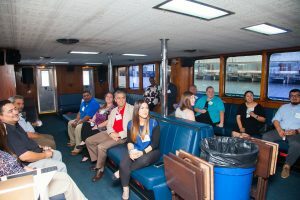 The Greater Houston Coffee Association hosted their annual ship channel tour aboard the M/V Sam Houston on April 26. 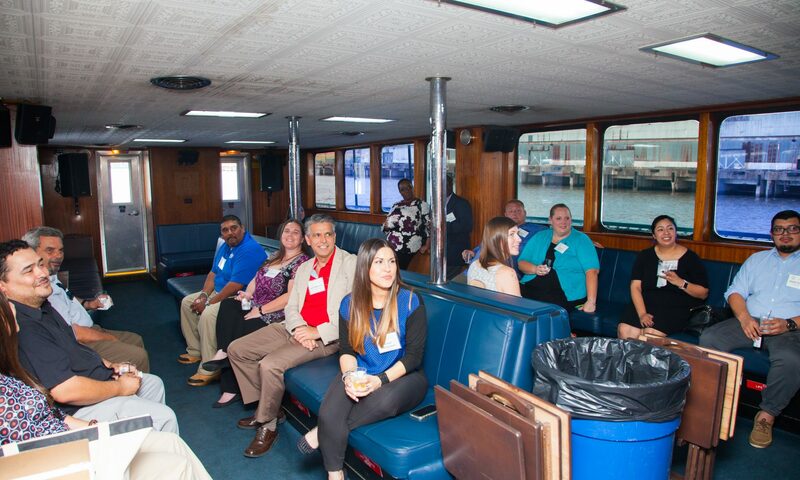 Over 40 people enjoyed an evening of coffee, food and learning about how commerce in the ship channel works. GHCA members and guests enjoy the 2017 Dinner Tour on April 26, 2017. GHCA 2nd VP Al Hernandez (Dupuy Storage) with John Manlove and Leah Howard (Manlove Marketing) and GHCA member David Martinez, (Atlantic Coffee Solutions), on the M/V Sam Houston, April 26, 2017. 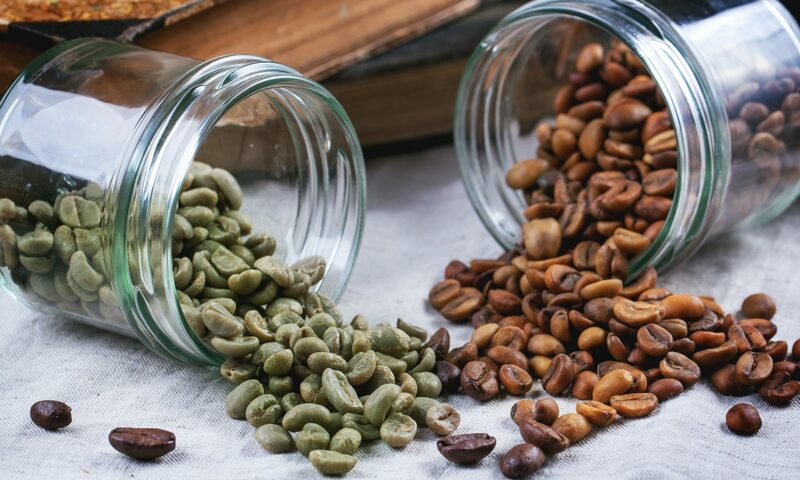 Note: This article also appeared in the May 2017 Port Bureau News.